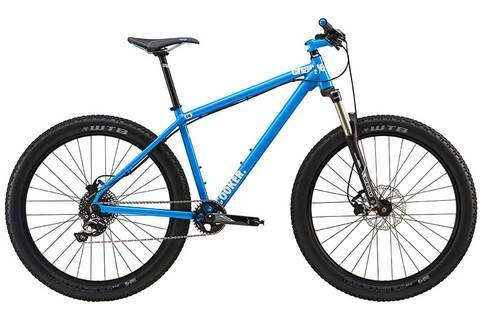 Click the button below to add the Charge Cooker Midi 2 2016 Mountain Bike to your wish list. Plus is More: More grip, more control, more speed, more miles and more fun. The all-new Cooker 27 Plus range has been created to inject more action into your riding, however and wherever you go. The Cooker Midi range is designed around 27Plus wheels; 27Plus takes the best attributes of current wheel sizes, blending the performance and speed of a 29'', the simple aesthetics of traditional 26'' and cushioning of a fat bike tyre into one size that looks perfectly in proportion and is fit for purpose, all with unparalleled grip on any terrain. This is the new standard in off-road riding. Charge Boost Disc, sealed cartridge bearing.